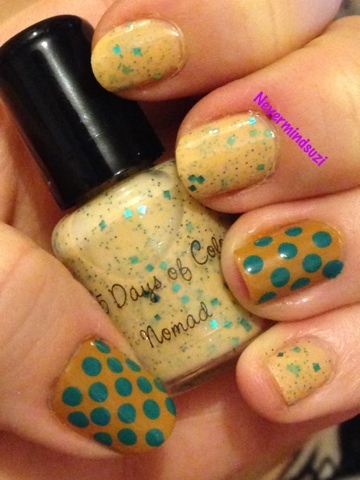 Today I'm wearing Nomad from the La Boheme Collection. It's unlike any colour of polish I own. 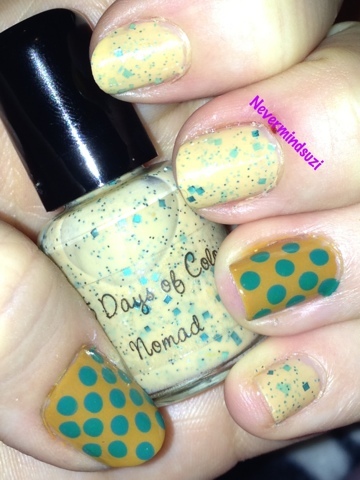 A creamy mustard full of green micro and hex glitters. Again a speckle type polish. My ring and thumb have Nails Inc Hampstead Gardens with Nails Inc Eden Garden Polka Dots. I normally contrast my accent nails but this worked well, I like it.